The challenges behind engineering a true 7.1 surround-sound experience into a headset form factor are immense. These difficulties explain why the majority of headset manufacturers typically opt for virtual 7.1 surround implementations, such as with the Kingston HyperX Cloud II Pro, rather than a true hardware-level design. Another factor that comes into play is the high cost associated with 7.1 surround, where 10 drivers are required as well as an advanced level of signal processing that often entails a custom-built USB soundcard. As a result upwards of £150 is standard fare for a true 7.1 gaming headset. Only a select number of well-established brands would even attempt such a feat. The notable mention here is Razer's Tiamat true 7.1 surround gaming headset which has stood largely unchallenged for nearly three years. ASUS is the latest brand to venture into the true 7.1 surround headset market believing its accumulated expertise in the audio department, delivering a plethora of headsets and soundcards to date, will be enough to produce a worthy offering. As part of its Strix series ASUS is releasing the £170 Strix 7.1, Strix DSP and Strix PRO, with the former being the flagship product that we are testing today. 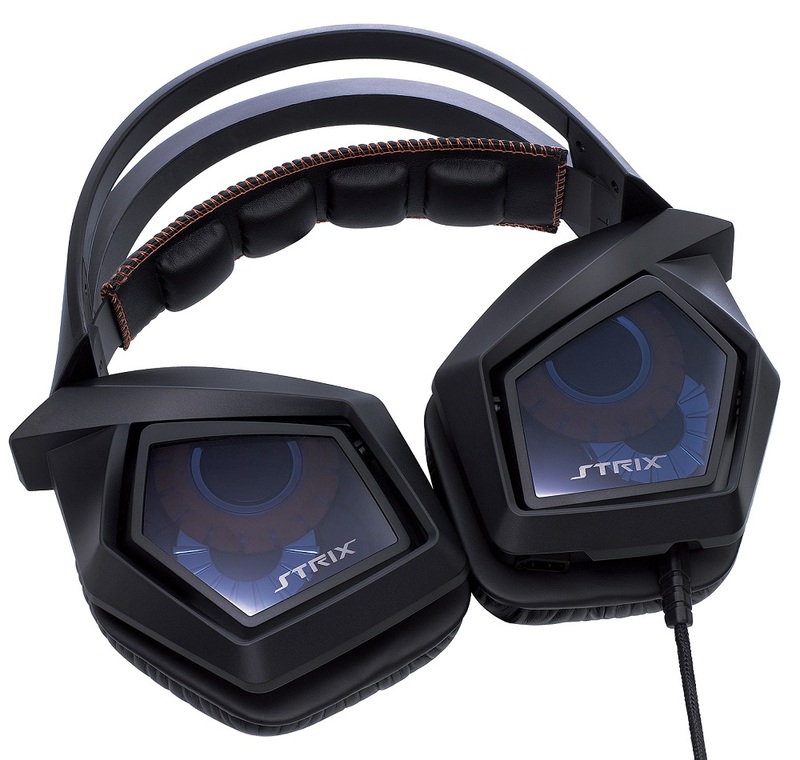 At the heart of the Strix 7.1 design is an impressive total of 10 neodymium-magnet drivers, five per ear-cup. ASUS hasn't been afraid to demonstrate how this stacks up against the main competition. 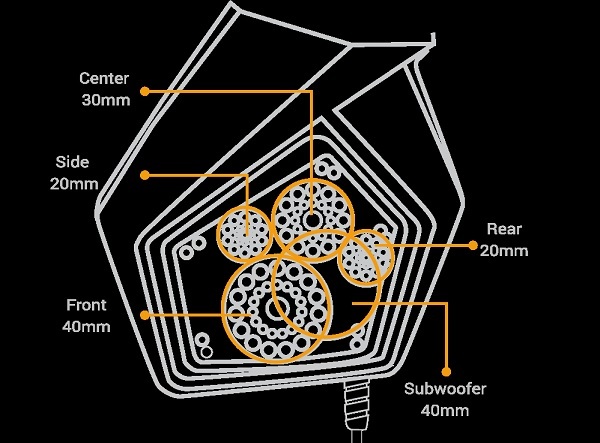 The Strix 7.1 has 40mm, 20mm, 20mm, 30mm and 40mm drivers for the front, side, rear, centre and subwoofer, respectively. Relative to the Razer Tiamat the Strix 7.1 has a larger front driver - 40mm vs. 30mm. The ASUS Strix 7.1 is built primarily from a hard black plastic that is thick and rugged in its design. 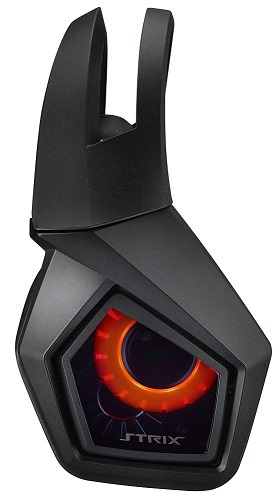 The headset feels sturdy and well-built and its 350g weight makes it typical for the type of gaming headset it is. That weight figure rises further when you included the fixed 1.5m braided cable and detachable microphone. 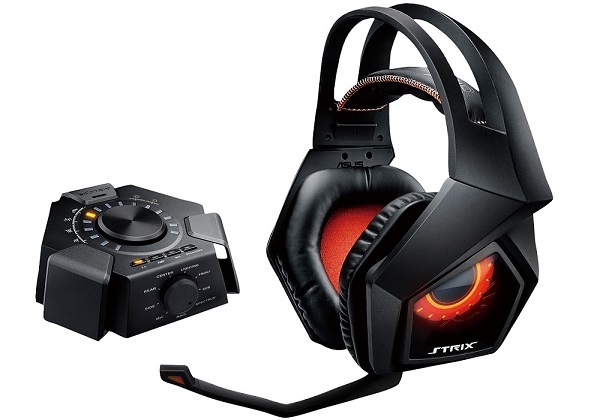 The outside of the ear-cups introduce the ASUS Strix branding which is, for those who aren't aware, owl-themed. Each side of the headset sports an owl-eye which is lit up by controllable LEDs that have on, off and breathe functions. The extensive use of plastic is a little disconcerting for the price point, as increased use of leather or brushed aluminium would help ASUS appeal more to the premium consumer this product is targeted at. The Strix 7.1 uses a firm horizontal clamping system to secure to your head which, we find, causes some pressure-induced fatigue after extensive use. There is one caveat to that, though, which is that users have to be conscious in how they position the headset. If the leather and memory foam headband is too far towards the back of the head the headset becomes uncomfortable, but when correctly positioned towards the front of the head the comfort is improved as the pressure distribution is changed to a more optimal configuration. In other words, keep it at the front.